world-wide brand recognition. He is known by more people than your small business. He has had more interviews and TV appearences than you. Charles Manson is a household name. He is a brand. And he’s never made a dime from it. But for you and your business trying to build a brand should not be your primary goal. I know I’ve just peeved off a bunch of people on Madison Avenue and basically gone against what some of my friends and colleagues believe at a core level. But really … It’s NOT about branding your business. It’s about focusing on your customers. It’s about building products and services that solve problems and meet needs. It’s about making money as a business or making a difference as a nonprofit. Branding puts the focus on you and your business. To grow, your business must focus on your customers and their needs. Yes you need to stand for something. But that’s not branding – that’s character and core values. I’m reminded of a daydream most of us have from time to time in life. We dream about being rich. But money isn’t really the end goal. It is what we think is nessasary to live the life we actually dream about on a deeper level. We think that if we only had millions of dollars we’d have less problems, more time and happiness. The problem with this line of thinking is that it leads us to put emphasis on the tools (money) and not the end result (happiness/freedom). Brand is the same way. It’s not really a brand we are after, it’s what we think a brand will bring us… more business, growth, sales or nonprofit donations. While having a brand CAN bring all those things, it’s better for us to view branding as a function of marketing not the end goal. 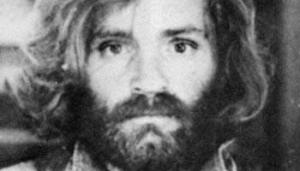 If the end goal is to brand oneself, then Charles Manson would be wealthy and free. So would Hitler. Don’t misunderstand…colors , logos, names, fonts, design, slogans and marketing materials all matter. But they should reinforce your marketing and sales strategy for getting new business. The goal of a brand is to be remembered as a trustworthy source of a particular solution or product. As you deliver a quality product you will being to gain authority, trust and … dare I use the word again … brand. Just don’t forget during this process that brand is a function of the end goal … which is S-A-L-E-S. I think Dockers did an excellent job with their 2010 Superbowl ad. It gave a clear call to action and continued their brand identity. But for a small business or nonprofit you don’t have millions of dollars to throw into a branding campaign. Instead of buying Superbowl ads, integrate branding with your response marketing. You should help people remember you in the midst of giving them a call to action. Make branding part of your process. As my mentor Eben Pagan likes to say, “it’s not about communication, it’s about conversion.” You can communicate your brand all you want, but at the end of the day, conversions matter. Here is your action step for today. Rename one of your products or services. Let me give you an example. I have a client who works with average looking people to teach them to become professional actors and models. He has developed an amazing modeling technique that he teaches to all his students. I recommended that he name his technique the ” modeling recall method.” I then urged him to add his name to the front of it. This is a simple way of “branding” something that he is already doing. What are some ways that you can name what you do in a way that helps people remember your business? Spend some time today thinking about something you do in your business and how you can (re)name it. Then leave a comment below with your thoughts, questions or results. I’d love to hear what you come up with. Now go take action and let me know. Joel Mark Witt is the Publisher of Folk Media and author of 21 Days To Twitter Leadership and How To Use Social Media To Find A Better Job. He is a producer, author, and speaker who consults with businesses and nonprofits on how to use social media in marketing and communications. Get more from Joel on Twitter or Google Buzz. I don't know, Hitler did some pretty nifty branding and was really successful there for awhile. I mean, what about “Third Reich,” and all the swastikas and uniforms. What was that but a very successful branding campaign. Hitler? I can't tell if you are serious or sarcastic. Hoping it's not the former and guessing it is the latter. Both Hitler and Mason are despicable characters. But that's not the point. Just because you BRAND yourself doesn't mean you have an income stream or solid business. In other words, Brand doesn't equal business.